Renowned through four award-winning books for his gritty and revelatory visions of the Caribbean, Bob Shacochis returns to occupied Haiti in The Woman Who Lost Her Soul before sweeping across time and continents to unravel tangled knots of romance, espionage, and vengeance. In riveting prose, Shacochis builds a complex and disturbing story about the coming of age of America in a pre-9/11 world. When humanitarian lawyer Tom Harrington travels to Haiti to investigate the murder of a beautiful and seductive photojournalist, he is confronted with a dangerous landscape riddled with poverty, corruption, and voodoo. It's the late 1990s, a time of brutal guerrilla warfare and civilian kidnappings, and everyone has secrets. The journalist, whom he knew years before as Jackie Scott, had a bigger investment in Haiti than it seemed, and to make sense of her death, Tom must plunge back into a thorny past and his complicated ties to both Jackie and Eville Burnette, a member of Special Forces who has been assigned to protect her. From the violent, bandit-dominated terrain of World War II Dubrovnik to the exquisitely rendered Istanbul in the 1980s, Shacochis brandishes Jackie's shadowy family history with daring agility. Caught between her first love and the unsavory attentions of her father--an elite spy and quintessential Cold War warrior pressuring his daughter to follow in his footsteps--seventeen-year-old Jackie hatches a desperate escape plan that puts her on course to becoming the soulless woman Tom equally feared and desired. Set over fifty years and in four countries backdropped by different wars, The Woman Who Lost Her Soul is a magnum opus that brings to life, through the mystique and allure of history, an intricate portrait of catastrophic events that led up to the war on terror and the America we are today. Bob Shacochis's first collection of stories, Easy in the islands, won the National Book Award for First Fiction, and his second collection, The Next New World, was awarded the Prix de Rome from the American Academy of Arts and Letters. He is also the author of the novel Swimming in the Volcano, a finalist for the National Book Award, and The Immaculate Invasion, a work of literary reportage that was a finalist for The New Yorker Book Award for Best Nonfiction of the Year. Shacochis is a contributing editor at Outside, a former columnist for Gentleman's Quarterly, and has served as a contributing editor for Harper's and GQ. 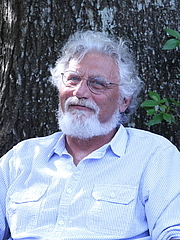 His op-eds on the US military, Haiti, and Florida politics have appeared in The New York Times, The Washington Post, and The Wall Street Journal. When humanitarian lawyer Tom Harrington travels to Haiti to investigate the murder of a beautiful and seductive photojournalist, he is confronted with a dangerous landscape riddled with poverty, corruption, and voodoo. It’s the late 1990s, a time of brutal guerrilla warfare and civilian kidnappings, and everyone has secrets. The journalist, whom he knew years before as Jackie Scott, had a bigger investment in Haiti than it seemed, and to make sense of her death, Tom must plunge back into a thorny past and his complicated ties to both Jackie and Eville Burnette, a member of Special Forces who has been assigned to protect her. From the violent, bandit-dominated terrain of World War II Dubrovnik to the exquisitely rendered Istanbul in the 1980s, Shacochis brandishes Jackie’s shadowy family history with daring agility. Caught between her first love and the unsavory attentions of her father—an elite spy and quintessential Cold War warrior pressuring his daughter to follow in his footsteps—seventeen-year-old Jackie hatches a desperate escape plan that puts her on course to becoming the soulless woman Tom equally feared and desired. Bob Shacochis’s first collection of stories, asy in the Islands, won the National Book Award for First Fiction, and his second collection, The Next New World, was awarded the Prix de Rome from the American Academy of Arts and Letters. He is also the author of the novel Swimming in the Volcano, a finalist for the National Book Award, and The Immaculate Invasion, a work of literary reportage that was a finalist for The New Yorker Book Award for Best Nonfiction of the Year. Shacochis is a contributing editor at Outside, a former columnist for Gentleman’s Quarterly, and has served as a contributing editor for Harper’s and GQ. His op-eds on the US military, Haiti, and Florida politics have appeared in The New York Times, The Washington Post, and The Wall Street Journal. Bob Shacochis discusses and signs his NEW novel The Woman Who Lost Her Soul MONDAY, SEPTEMBER 9, AT 7 PM BOB SCHACOCHIS will discuss and sign his new novel The Woman Who Lost Her Soul on Monday, Sept. 9th at 7 pm . Renowned through four award-winning books for his gritty and revelatory visions of the Caribbean, Bob Shacochis returns to occupied Haiti in The Woman Who Lost Her Soul before sweeping across time and continents to unravel tangled knots of romance, espionage, and vengeance. In riveting prose, Shacochis builds a complex and disturbing story about the coming of age of America in a pre-9/11 world, taking humanitarian lawyer Tom Harrington to Haiti to investigate the murder of a beautiful and seductive photojournalist. Confronted with a dangerous landscape riddled with poverty, corruption, and voodoo, Tom discovers that Jackie has a secret past and ties to a member of Special Forces who was assigned to protect her. Set over fifty years and in four countries backdropped by different wars, The Woman Who Lost Her Soul is a magnum opus that brings to life, through the mystique and allure of history, an intricate portrait of catastrophic events that led up to the war on terror and the America we are today. “No one in American literature is better at casting his imagination into the deepest currents of American culture and politics than Bob Shacochis. The long, ardent, admiring wait for his next novel has been worth every moment: The Woman Who Lost Her Soul is his masterpiece.” ~ Robert Olen Butler Bob Shacochis’s first collection of stories, Easy in the islands, won the National Book Award for First Fiction, and his second collection, The Next New World, was awarded the Prix de Rome from the American Academy of Arts and Letters. He is also the author of the novel Swimming in the Volcano, a finalist for the National Book Award, and The Immaculate Invasion, a work of literary reportage that was a finalist for The New Yorker Book Award for Best Nonfiction of the Year. Shacochis is a contributing editor at Outside, a former columnist for Gentleman’s Quarterly, and has served as a contributing editor for Harper’s and GQ. His op-eds on the US military, Haiti, and Florida politics have appeared in The New York Times, The Washington Post, and The Wall Street Journal. Bob Shacochis is currently considered a "single author." If one or more works are by a distinct, homonymous authors, go ahead and split the author. Bob Shacochis is composed of 3 names. You can examine and separate out names.